In an effort to capture some 100 million users over the next two years, Ola, the mobile transportation app based in India, announced it’s opening up its API to other mobile applications and third-party developers. This paves the way for integrations on services like ride availability, estimation, booking and tracking. The integration has already begun as Samsung, MakeMyTrip, InMobi and Helpchat demoed their apps at Ola’s first API Hackathon. 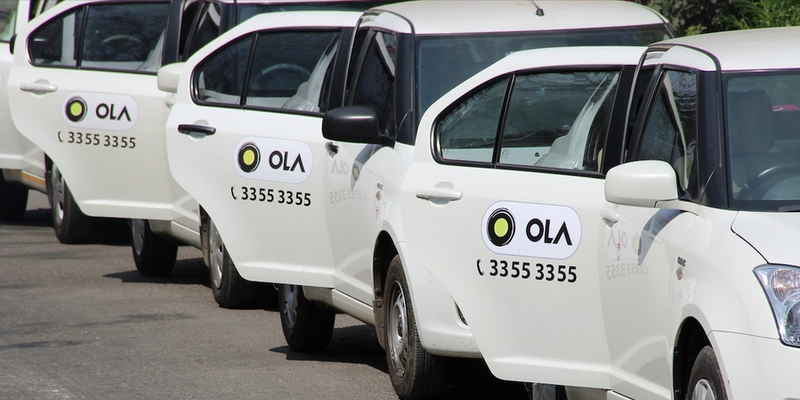 The company says that additional mobile apps and brands are also working with Ola’s API. The APIs are expected to broaden over time, allowing for integrations across Ola Money, Ola Store and other newer categories and uses currently available on the Ola app, the company said. Ankit Bhati, Ola’s CTO and co-founder stated that the company seeks to work with developers throughout India to eventually enhance mobility for one billion people. Ola’s hackathon, which takes place today, challenges participants to come up with innovative products for Ola’s API to solve practical problems for users — such as real-time availability checking across categories or booking a cab easily at a specific time.